Made to measure roofing sheets allow you to maximise coverage and therefore limit wastage on your roofing project. Utilising cut to size roofing sheets also makes installation easier, eliminating the need to cut your roofing sheets on site and dispose of any wastage. This also reduces the number of hours tradesman will require to fit your new roof. Roofing Megastore's range of made to measure roofing sheets include a variety of styles and materials. 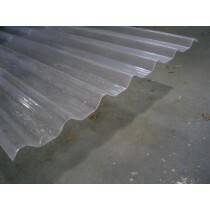 These include both metal and polycarbonate sheets, which are ideal for a huge variety of projects. 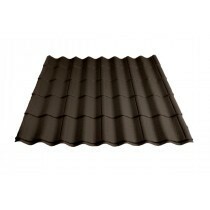 Our metal sheets offer a wonderful tile effect, purposely designed to match the profiles of traditional roof tiles. Our polycarbonate sheets, on the other hand, are available in a variety of colours and thicknesses. Cut to size roofing sheets are an increasingly popular option for DIYers. Due to them minimising wastage, they are often more cost effective to purchase and cut any installation costs you may incur. You'll also achieve a clean and faultless appearance due to you not having to cut any edges on site. Have Questions About Our Made to Measure Roofing Sheets? If you have questions about our range of cut to size roof sheets, speak to our team by telephone or via the online chat. With over 40 years of experience in roofing, we’ll help answer your questions about roofing sheets. We will also help you pick the necessary fixings and flashings for your project. You can also view all our roofing sheets here, which include bitumen sheets.